Last week we exhibited at Technology for Marketing and Advertising (TFM&A) 2013 in Manchester. We had a great day and had some great conversations. It was lovely to see the interest in Microsoft Dynamics CRM. Our stand was so popular we ran out of collateral! Another key conversation was around ensuring that CRM is married to strategies and processes to ensure that CRM solutions do what you need them to do. Our next event is our Caltech lead Microsoft Dynamics CRM user group for our clients. This is something we introduced this year and has been warmly received. We aim to ‘add value’ by showcasing specific parts of Microsoft Dynamics CRM. In June we will be focusing on the marketing CRM functionality element, and will be joined by our partners dotMailer. 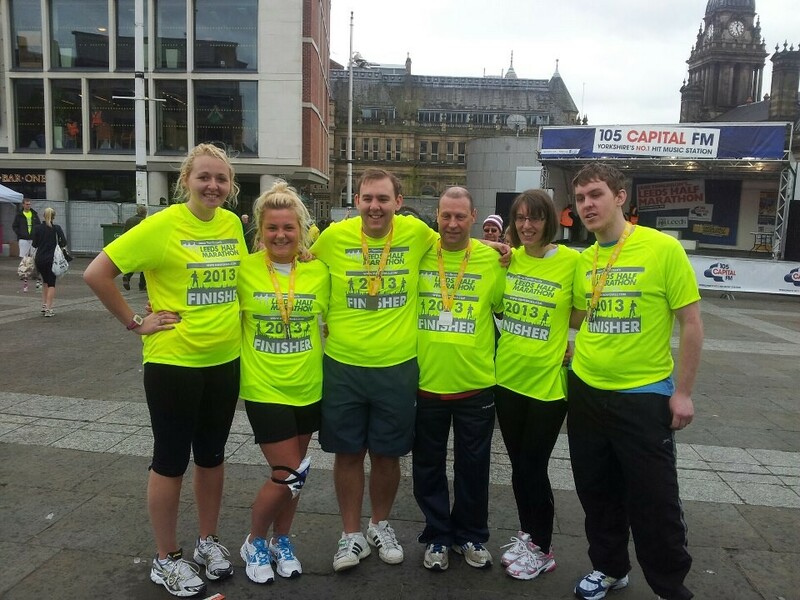 On 12th May Caltech CRM took part in the Leeds Corporate 1/2 Marathon – it was great fun and all runners did really well! Rob Walwyn was a last minute stand in as we had some illness on the team! Also a special mention for Hannah as after enduring the 3 peaks just a few weeks before hit problems with her knee and ended up in casualty on Sunday afternoon with a torn medial collateral ligament! You can probably spot her in the picture! We raised £340 for Simon on the Streets. Although here at Caltech we work with lots of different industries, from B2B, health, financial services to name a few, we do also deliver a specific product to the social housing market. Caltech will be at Microsoft in Reading later this week showcasing TenantView CRM powered by Microsoft Dynamics CRM. We will also be exhibiting on 25th to 27th June 2013 in Manchester at the Chartered Institute of Housing (CIH) exhibiton, again showcasing TenantView CRM.